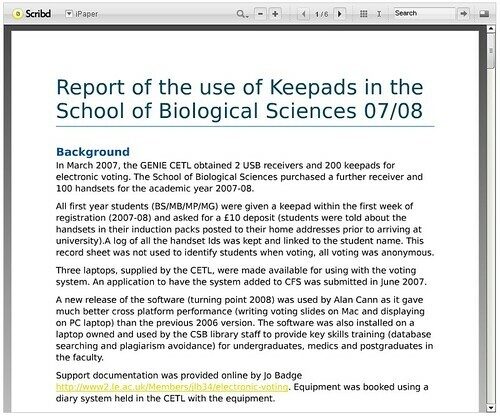 The School of Biological Sciences has been using the Keepad system and Turning point software with first year undergraduates. This report evaluates their uses. I am very pleased to report that all but 13 of the 159 handsets loaned to first years during the year have been returned, all in working (if not spotless!) order. We have ordered some replacement handsets and will be giving handsets to first years again in 2008/9.